Slat effect end panels and an oversized top rail set the Belton cot bed apart from the rest. Its combination of modern and retro styling ensures a perfect fit with any nursery design and timeless colours make sure that it never looks dated. Suitable from birth to approximately four years, the Belton cot bed features an adjustable, three height mattress base which can be adjusted as your baby grows. Keep it at its highest level to make it easier to reach your little one and then as they grow, simply lower the base to ensure they are safe and secure at all times. Once they are old enough to stand, simply remove both of the cot bed sides and the bottom section each end and you're left with a stylish toddler bed to keep them comfortable for years to come. If you're short on storage. the Belton also includes a co-ordinating under drawer for keeping belongings neatly out of sight. 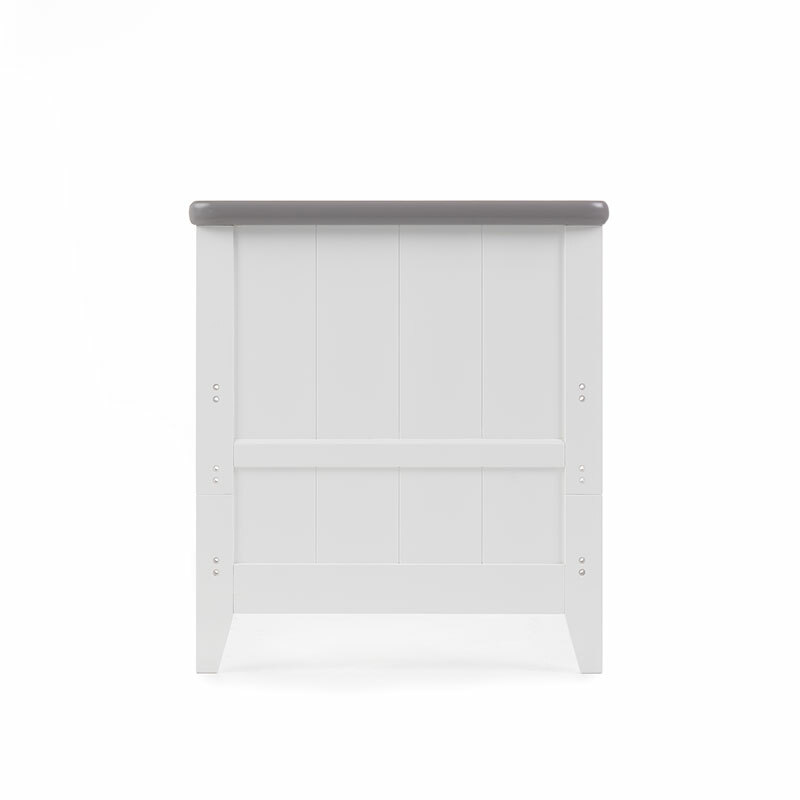 Durable wheels ensure that the drawer opens and closes smoothly on any floor surface and recessed handles make sure that there are no protruding handles to catch. 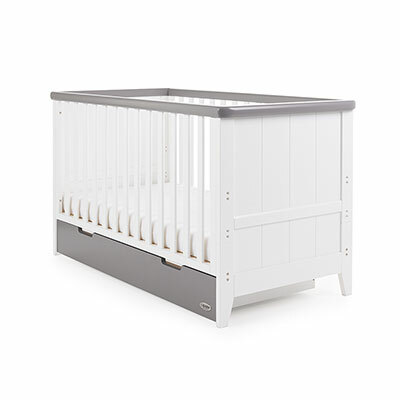 Available in a range of stylish finishes, the Obaby Belton cot bed is the perfect addition to any nursery and coordinates flawlessly with the rest of the Belton range.